Congress intends to implement NYAY as a joint scheme of the Central and state governments and the cost will be covered primarily by the Centre. 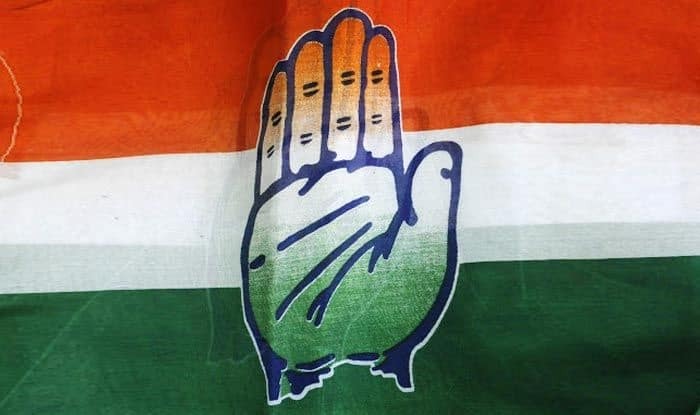 The Congress on Tuesday said that its ambitious Nyay scheme will be successfully implemented if the party is voted to power and it will cost about five per cent of total expenditure of state and Central governments. Nyay (Nyuntam Aay Yojana) is a key promise of the Congress ahead of 2019 Lok Sabha elections and will provide Rs 72,000 annually to the poorest 20 per cent families. The party said that the estimated cost will be less than one per cent of GDP (at current prices) in the first year and less than two per cent (at current prices) of GDP in the second year. Once the scheme is fully implemented, it will cost approximately Rs 3.6 lakh crore. The current size of GDP is about Rs 200 lakh crore. Congress intends to implement NYAY as a joint scheme of the Central and state governments and the cost will be covered primarily by the Centre. The scheme will be funded through new revenues and rationalisation of current expenditure. Party leaders said Congress will look for new revenue sources, it will ensure that there is no extra burden on the poor and middle class. Former Finance Minister P. Chidambaram told a press conference on Tuesday that the size of GDP will grow in the next five years. “I think there is enough capacity to attempt an ambitious programme. Congress sets ambitious goals,” he said. Referring to BJP, he said that questions were also raised when Congress-led UPA government rolled out the rural employment guarantee scheme MGNREGA. Party leaders said that size of India’s GDP (3rd largest in terms of PPP) and the level of total expenditure (central and state governments) of Rs 60 lakh crores allows the government to undertake an ambitious programme of cash transfer to the poorest sections of the people without in anyway affecting our commitment to fiscal prudence. The party said that as nominal GDP grows and families move out of poverty, the cost will decline as a proportion of GDP to about 1.2-1.5 per cent of GDP (at current prices). The Nyay scheme will cost Rs 3.6 lakh crores, which amounts to five percent of the total expenditure. “India can afford to spend 5 percent of our total expenditure on the goal of wiping out poverty,” said a party leader. Party leaders said that Nyay will also serve the additional purpose of ‘remonetisation’ or ‘note wapsi’ of the Indian economy, which was badly hit by Modi government’s “destructive demonetisation”. At the time of independence, India’s poverty rate was 70 percent and it has now come down to 20 percent. “It is now time now for a final assault on poverty with the aim of bringing the 20 per cent down to zero. We are committed to completely wiping out poverty in India,” the leader said. Congress leaders said money in the hand leads to consumption, which leads to job creation, which leads to higher tax revenues. The target population under Nyay is 5 crore families who constitute the poorest 20 per cent and money will be transferred to the account of a woman of the family. Party leaders said they will be fiscally disciplined and prudent while we implement the scheme. “If the BJP can earmark over one lakh crore for a bullet train between Mumbai and Ahmedabad, we can spare a fraction of our GDP to ensure economic justice,” the leader said. The leaders said that an independent panel of experts will work with the government to chalk out the design, testing, roll-out and implementation details. Th current core merit subsidy schemes that are intended to achieve specific objectives will be continued along with Nyay and the party will not roll back the 11 core subsidy schemes that exist for the poor today, comprising health, fuel, agriculture, food and education. The rollout of the cash transfer scheme will be in phases. The party ran an extensive financial modeling exercise before deciding to include the plan in the Lok Sabha manifesto.